Liverpool fans have had their say on whether they’d be happy to see Philippe Coutinho return to the club, amid transfer rumours on his future. Coutinho was an influential figure for the Reds, playing a pivotal role in the teams of both Brendan Rodgers and Jurgen Klopp. He spent five years at Anfield, playing 201 games and scoring 54 goals and was a crucial player in both the title challenge of 2013/14 and the run to the Europa League final under Klopp in 2016. The Brazilian international was a fan favourite for a long time—but the manner of his departure to Barcelona a year ago changed much, as he sat out spells injured and eventually forced through a move in January 2018. Of late, however, there has been talk that he’s unhappy at the Camp Nou and might seek to leave, including to rivals Man United. A departure in this window would mean that the Reds missed out on up to £22 million—£18 of which is near-guaranteed if he stays a couple of seasons at the club—of the add-ons agreed as part of his sale. 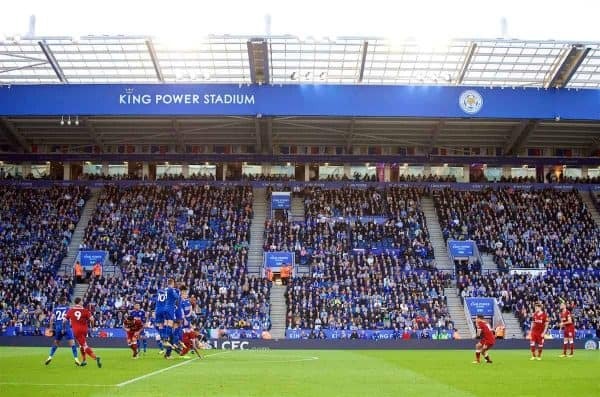 Therefore, we put it to vote and the fans answered in their droves, with just shy of 50,000 Kopites having their say—and the outcome was emphatically one-sided. 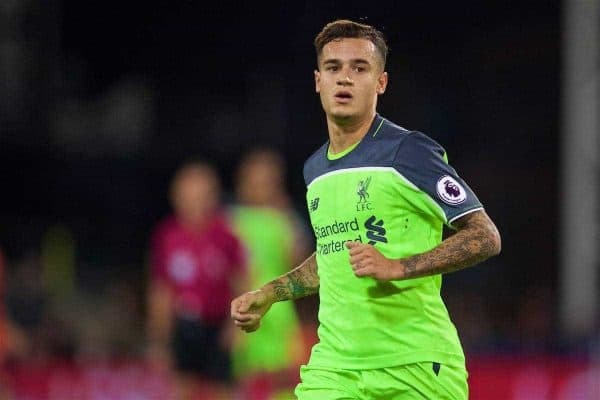 Almost two-thirds of supporters voted to yes, to re-sign Coutinho should the opportunity arise, with a 65 per cent majority happy to see the Brazilian return to Anfield. The reasoning behind the votes was compelling, however, with fans on both sides keen to add caveats and expand on their thoughts. 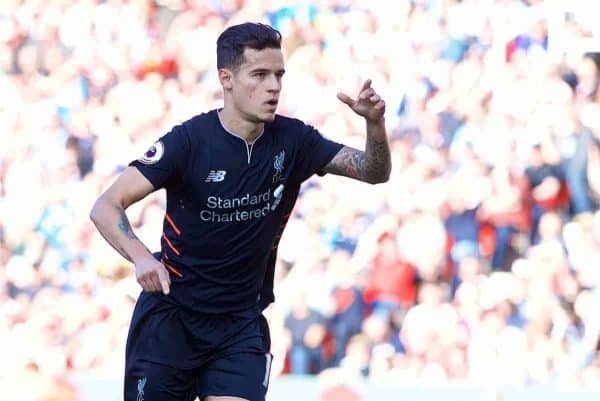 That said, the overwhelming majority did opt for a Coutinho return, with his brilliance on the ball and capacity to create chances out of nothing prime among the reasoning. It wasn’t all about wanting Coutinho’s brilliance back, though, with the thought of him ending up at Old Trafford clearly unpalatable for many. 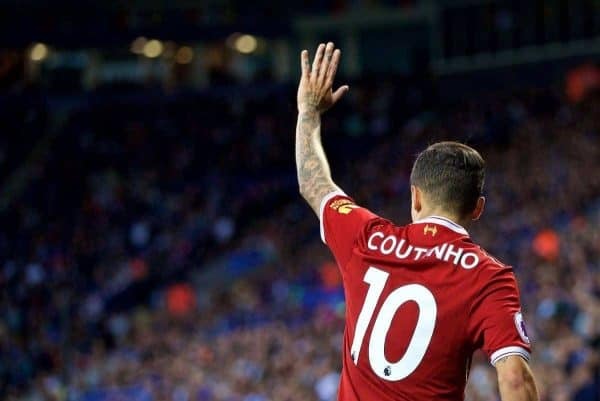 It should be acknowledged, of course, that many fans are more than aware of Coutinho’s ability—but the manner of his exit has swayed their opinions of his character. 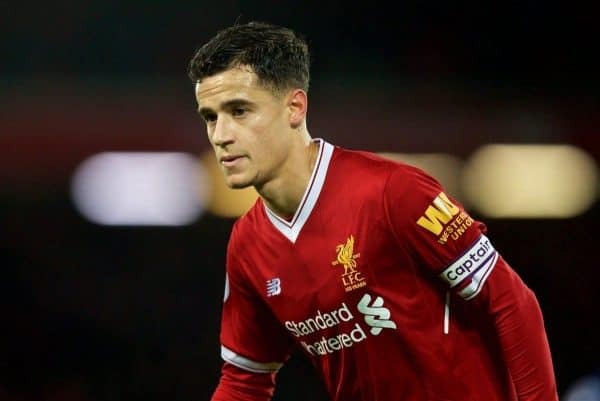 The price tag for Coutinho would also be a discussion point, particularly in light of losing out part of the add-ons if he was to depart this window. “At a real valuation of about 40-50m should be okay [but] definitely not at the hyped value Liverpool sold him,” said Christopher Voo. In the end, though, quality talks—and Klopp himself has shown a willingness to take back players previously who had left him beforehand. It’s clearly a somewhat divisive topic, and an altogether theoretical one right now. But the results were clear and the majority of fans would welcome Coutinho back without too many questions—and let’s be honest, the rest would follow suit if it meant Coutinho netting a winner to send the Reds closer to the Premier League title!